your summer must-have for poolside beauty is a waterproof makeup. crease proof, sweat proof and most importantly, heat proof. 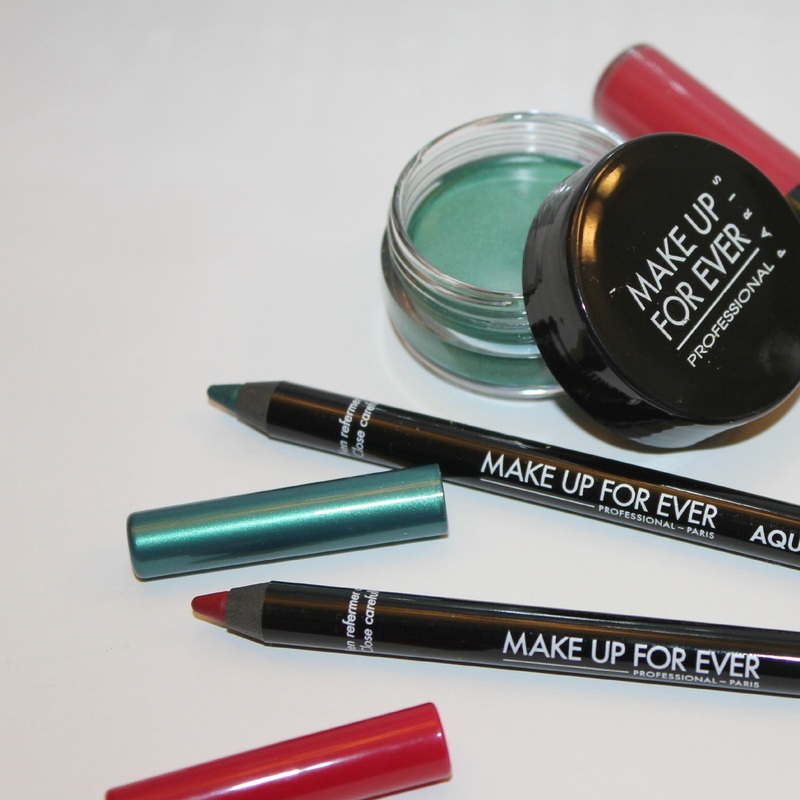 Make Up For Ever has combined all of those elements for their Aqua Eyes and Aqua Lips collection released this summer. having previously written about them here i claimed i was 'bananas' for them and the feeling still holds true. they manage to withstand in even the highest heat, the coolest of pools and the steamiest of hot tubs. included in their Aqua Eyes release this summer were the Aqua Lips collection. a lipstick that can withstand moisture? you'll be hard pressed to find one that lives up to that claim without drying out your lips and leaving them feeling like the Sahara in desperate need of a sprinkler, however the Aqua Lips apply smooth and creamy like a lipstick without the drying effects of a waterproof lip product. how do i feel about these products? they're hot, hot, hot - and not in a Reverend Horton Heat kind of way. Whenever I want a waterproof anything, MUFE is always in the mix! I love the green! I LOVE the aqua lips. It has become a HG for me! I love the MU4E Aqua-Eyes! 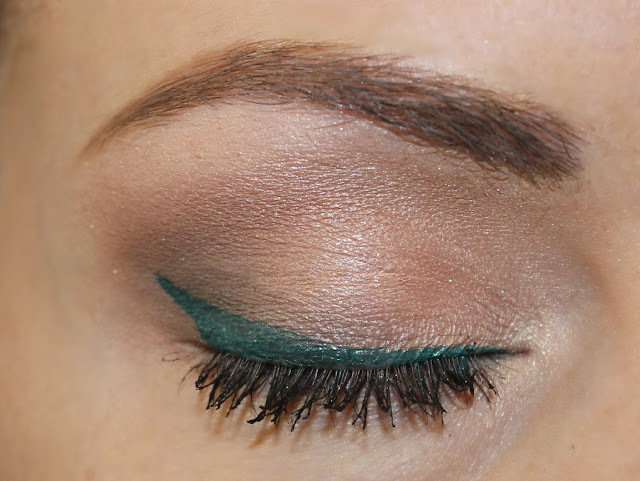 I have the turqoise shade too - it's perfect for summer! I've never tried the Aqua-Lips though. It's nice to hear that it doesn't dry the lips out, I'll definitely check it out!